Oh, only 9 issues??? From how people refer to it, I thought it went on for a couple years? 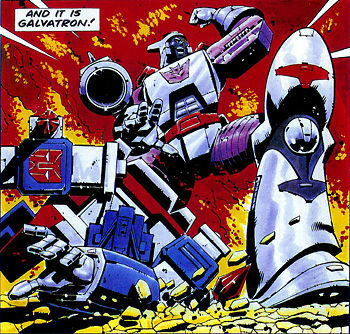 AllNewSuperRobot wrote: Oh, only 9 issues??? From how people refer to it, I thought it went on for a couple years? The comics lasted 12 issues, not nine, plus it had five G.I.Joe crossover comics. Meanwhile the toy line went on for 3 years from '92 to '95 leading into Beast Wars which inherited the ball joints that showed up in the end of G2. Emerje wrote: The comics lasted 12 issues, not nine, plus it had five G.I.Joe crossover comics. As I mentioned. The Inferno mold, and character. Were they even that popular? Maybe the JP crowd love their fire engines etc (and maybe Mitsubishi wasn't such a beotch in selling the rights but he is not a popular character yet Takara prioritized him over Meister. And it still sold. Even the least popular G1 TF sold. BW? ,MP will more or less target the most popular of the crew as again, it is still G1 that carries the "entire" franchise whether we would like to admit it or not. I'd love a Waspinator too or even a Blackwidow. I deal with facts and figures. Can't be denying them. 20% of MP mainline is G1. To do so doing the is is an apple and not orange the way CNN does their spin. BW is G1? Some would argue against that( all this multiveres mumbojumbo) unless we follow the JP timeline. 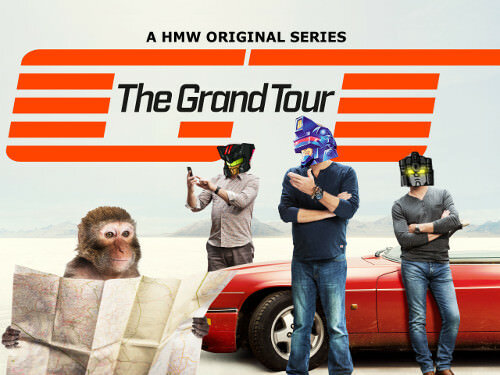 BW save G1? Again, other factors would go against that argument. G1 was very robust post 1991 in JP. The line kind of died because the fan all grew up. It was HB who was scrapping the bottom of their IP barrel that resurrected the line. Also, nostalgia by the older fans. MP is primarily Takara. Paying HB for the characters they own. 'nuff said. Also, man up! Call me a Gwunner BS? Then stand by it. That term is a pejorative in the TF community. Just as I called you a melt away hit and run deflecting fact denier. I stand by it. Hey fenrir72! We get it, you like to discuss the business aspect of Masterpieces. You've done it in so many threads. And you know what? Each time you've done it, it's been off-topic. I've said it before and I'll say it again, if you want to discuss that stuff, start a thread about it. 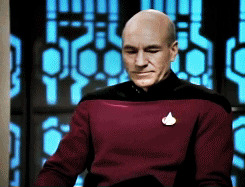 But this thread, like all the others, is simply not the place for it. 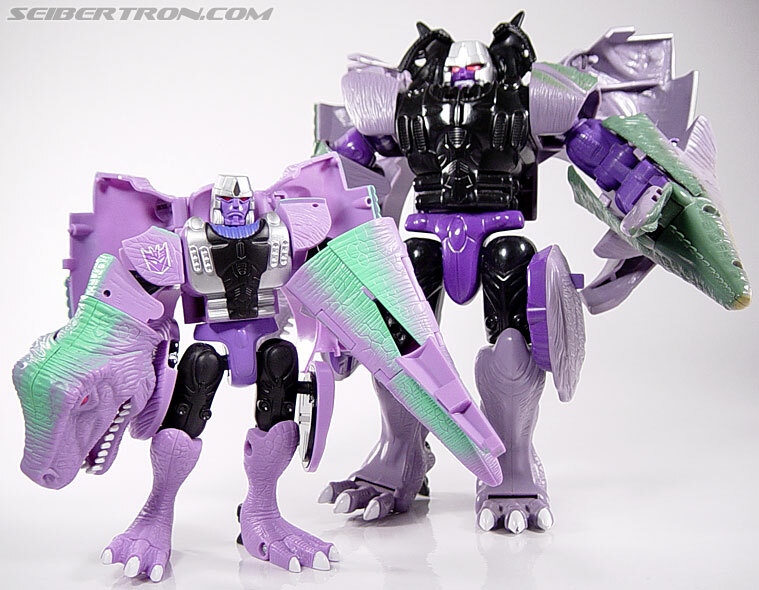 Guys, this thread is for discussion about the upcoming MP-43 Beast Wars Megatron. Let's keep it about that. Getting sick and tired of having to deal with reports about people posting off-topic when the majority of you should know better by now. Staff included. Random thought when it comes to accessories. If he comes with the Toothbrush and no Rubber Ducky, Transmetals have been discussed at some point. If he comes with both, the likelyhood of MP Transmetal is less certain. I think they'll do the transmetals at some point, it's just said point is going to be a long while off. So it's pointless gesturing based off accessories now, as they could easily re-include them later on. I mean it's going to be an easy 2-4 years till the bw mp line is ready for transmetals. ZeroWolf wrote: I think they'll do the transmetals at some point, it's just said point is going to be a long while off. So it's pointless gesturing based off accessories now, as they could easily re-include them later on. I mean it's going to be an easy 2-4 years till the bw mp line is ready for transmetals. Fair point. So how many redecos can they get out of what they have so far, including Dinobot and Megatron? That's at least another four perhaps? Last edited by Sabrblade on Sat Jun 23, 2018 1:58 pm, edited 1 time in total. Wow, a lot more than I thought. Surely Hardhead/Dinotron would suffice with a retool of MP Dinobot though? Clearly Thrustor being a more extensively altered design, would need a new, bigger mold. How did the robotmasters deco differ again? AllNewSuperRobot wrote: Wow, a lot more than I thought. Both Thrustor and Hardhead had cartoon models that were much more toy-accurate than Dinobot's was, so with Takara being all about show-accuracy with MPs as of late, they'd need new molds that better matched their original toys like how their cartoon models did. Last edited by Sabrblade on Tue May 15, 2018 10:54 am, edited 1 time in total. ZeroWolf wrote: How did the robotmasters deco differ again? Primal's RobotMasters figure as it was was similar enough to the original toy's colors. Both Thrustor and Hardhead haad cartoon models that were much more toy-accurate than Dinobot's was, so with Takara being all about show-accuracy with MPs as of late, they'd need new molds that better matched their original toys like how their cartoon models did. I see. They were a BWII/Neo thing? 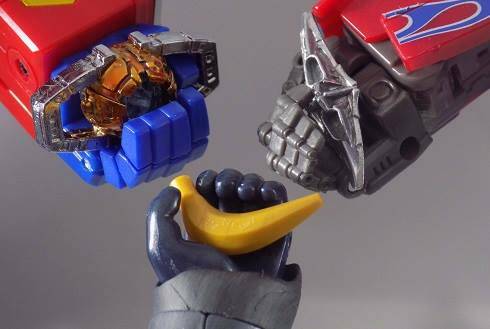 I only saw them in The Ascending (and links to the toys on the Wiki) so I assumed they were Con-exclusive redecos. Yes. Thrust/Thrustor was in Beast Wars Second, and Hardhead was in Beast Wars Neo. Hardhead's toy got redeco into Dinotron for the 2000 Dinobots line. Sabrblade wrote: Too small? Megs is gigantic. He's taller than Dinobot, who towers over Primal. I know Megatron was the tallest of the season 1 cast, but I remember shots where Dinobot was craning his neck to look him in the eye. I can't see us ever getting Transmetals MPs. And honestly I'm OK with that. I know they won't scale too well, but as far as basic appearance goes I've always felt the mechanical nature of the Transmetals afforded them some pretty decent looking figures in the first place. I always liked the different themes behind the phases of Beast Wars. The Techno-Organic/Base form, which already has turned out some really nice designs, especially in the MP line. The TM "reverse" form, with it's organic bot mode and techno Beast. The Transmetal 2 designs being the original form remade fully technological. The main reason why I'd like to see the TM line made into Masterpiece is that now they have the technical know-how to correct their great, "shiny" flaw and make those designs really stand out. As an aside I've always wanted to see TM Primal and TM Terrorsaur retools as Apeface and Laserbeak respectively. Plus, keeping them in scale with the other MP base forms, the Transmetals would be massive! Please don't use that to refer to the Season 1 forms. 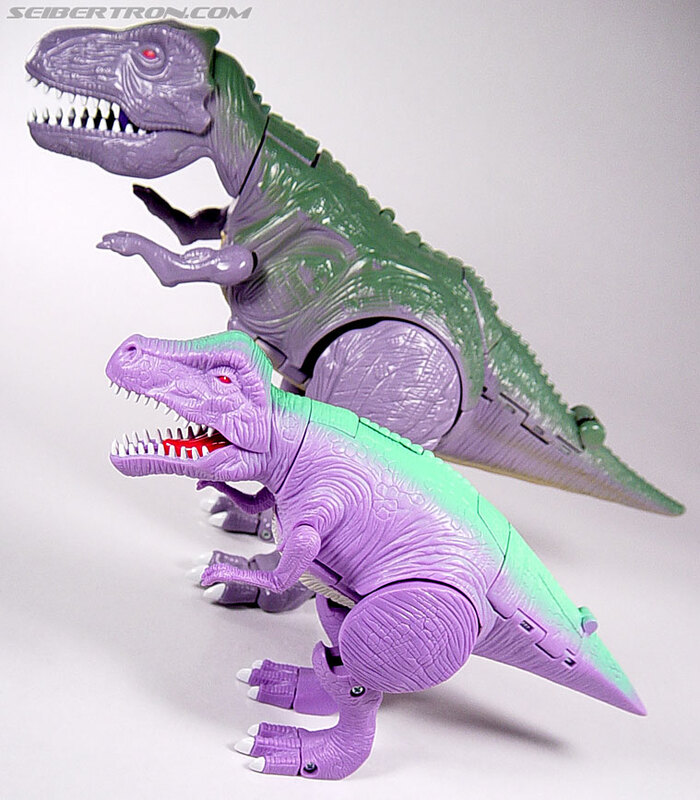 The Sourcebooks already mucked up that term enough when it's meant to refer to the unique alien hybrid forms of the Beast Machines Maximals. Indeed. Personally I usually used the term interchangeably between Transmetal 2 and Beast Machines. As they are more or less the same hybrid form. Typically I refer to Season one forms as 'Base' forms, at the time I couldn't think of another term to describe them. It's easier to just pretend Beast Machines just doesn't exist. 5,512 pages were recently viewed by 1,430 unique visitors. This page was viewed 1 times on Friday, April 19th 2019 9:49pm CDT. © 2019 Seibertron, Inc. DBA Seibertron.com. All Rights Reserved. Established June 2000. Seibertron.com is owned by Ryan Yzquierdo.